These homemade fries are not only delicious, but using butternut squash as opposed to sweet potato or potato brings a host of additional health benefits — squash is loaded with vitamin C & A, and has a much smaller impact on your blood sugar. Baking the squash in stable fats means the already low starches and sugars are taken slowly into the bloodstream. Heating unstable vegetable oils – the absolute worst being corn, soy, safflower, sunflower and canola – will only cause havoc on your system, and increase the likelihood of having fat stored on your body. And remember while olive oil is a brilliant vegetable oil is must also avoid being heated at high temperatures – stick with the suggestions I’ve listed below! 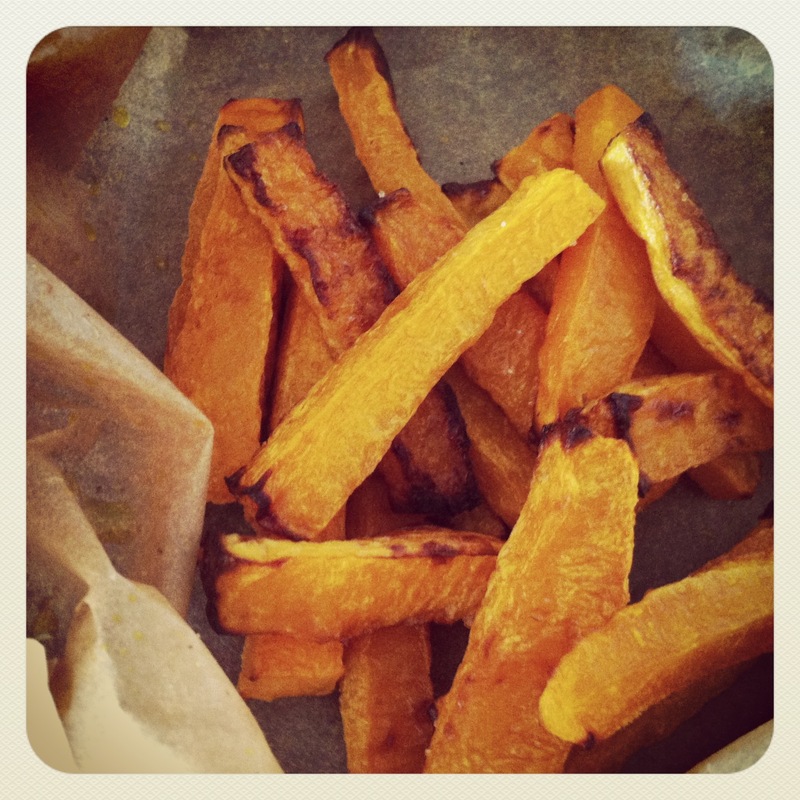 Peel the squash then cut into thin strips, or you can go for wedges if you prefer! Smother in coconut oil (or your choice of fat) then bake for about 30-45 mins – flipping half way thru. Add salt / cayenne pepper / salsa / guacamole. Enjoy!